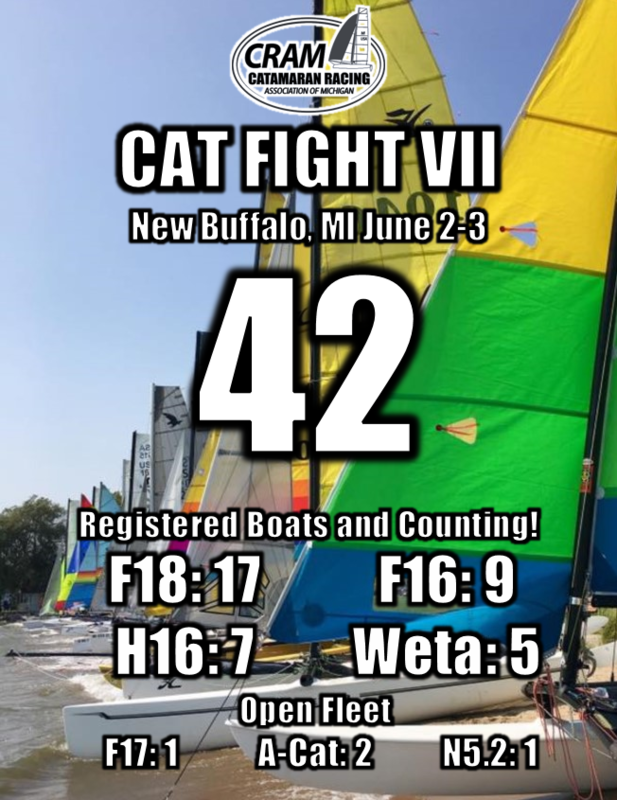 Hey cat sailors we're a week away from the biggest Michigan catamaran event in a decade!! Come join both CRAM & CRAW in New Buffalo, MI! New and old H16s welcome! We're not too picky on Hobie class rules..